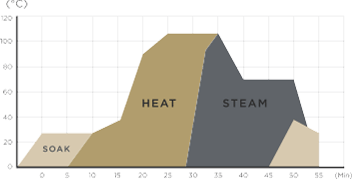 Programmed and developed with over 30 years of research, the smart algorithms adjust the power and pressure level to accommodate different types of cooking. 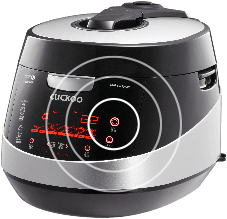 So far, over 300 recipes have been created via CUCKOO’s smart algorithms technology! This special feature does not only reduce up to 70% of cooking time and energy usage, it also heats food evenly to allow the minerals to stay undissolved and help food retain its original flavours. The high temperatures also eliminate harmful microorganisms and reduce aflatoxin concentration to safe levels. 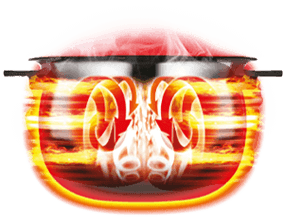 Induction heating technology heats food with radio frequency electricity emitted from the induction heating zone underneath the pot. The entire pot acts as the heating element so that food is cooked more evenly. This innovative feature is capable of heating food up to 20% quicker! The inner pot is coated with CUCKOO’s proprietary SK-FLON coating, which keeps food from being contaminated by harmful substances like aluminium and prevents rice from sticking onto the walls of the pot. The intelligent voice navigation system, which is available in different languages, is effective in keeping the experience of using the multi-cooker easy and intuitive. 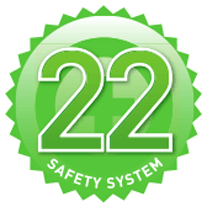 Both hardware and software safety features are specially designed to give you complete peace of mind. The features include the pressure control device, secondary pressure release, lock checking device, reed switch, thermal fuse and many, many more. The cooker should be able to cater for all types of rice. The cooker should be able to sustain a high boiling point. 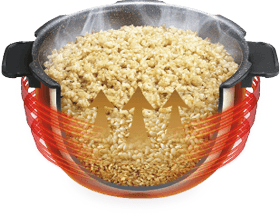 Choose a cooker with a non-contact heating method to avoid uneven or overcooked rice. The cooker should have strong resistance to heat and pressure. Choose a cooker with a non-stick inner pot which is easy to clean. Cookers should not leak aluminium into food. Your cooker should have adequate safety features. Always purchase from a reputable maker to ensure that parts can be easily obtained and your cooker can be repaired with minimum fuss.